After Callum Hudson-Odoi was forced to endure horrific racial slurs, Maurizio Sarri has suggested a new rule to combat the abuse. Racism has and continues to molest itself into every sport in the world. Just when it looked like football were looking to overcome the age-old issue, racists supporters and chants have seen a disappointing increase in recent months gone by. Premier League players such as Raheem Sterling, Danny Rose and Callum Hudson-Odoi are just some of the latest victims of this cruel and needless act that needs to be abolished from football. They were all forced to endure racist slurs on international duty when England travelled to Montenegro. In a bid to combat racism, Maurizio Sarri – along with several other Premier League managers like Pep Guardiola and Jurgen Klopp – has spoken about taking action against racism. UEFA themselves have punished Montenegro and charged them in five accounts - one of which on account of racism. Clearly incensed by the abuse Hudson-Odoi had suffered both on international duty and in the Europa League at Dynamo Kiev, the Italian manager has suggested a change in the rules to help protect his player and any other player unfortunate enough to withstand the tasteless abuse. Lamenting the supposed football supporters as “stupid people” Sarri has proposed one way to try and kick racism out of the beautiful game once and for all. On whether or not he would lead a ‘walkout’ with his players on the first sign of racism, Sarri said: “We need a rule, I think. A rule for the Premier League, but for all the championships across football. A rule that can permit us to stop the match." Sarri went on to explain that a break in play would be one way he’d try to help his players in the face of racist abuse. “In every country there are some stupid people, I think. So, it's a big problem. I think that we need to do something different. Probably it's right to stop the match for ten minutes at the first situation." Admittedly, Sarri also claimed that his ideas are not going to completely abolish racism and the power is really one he cannot solve. Because of this, he hasn’t and will not speak to Hudson-Odoi specifically about the racism he has been a victim of. When asked if he had spoken to his Chelsea player, Sarri said: "No, not for the moment. And I don't like to speak to him about this problem because, unfortunately, I am not able to solve it." 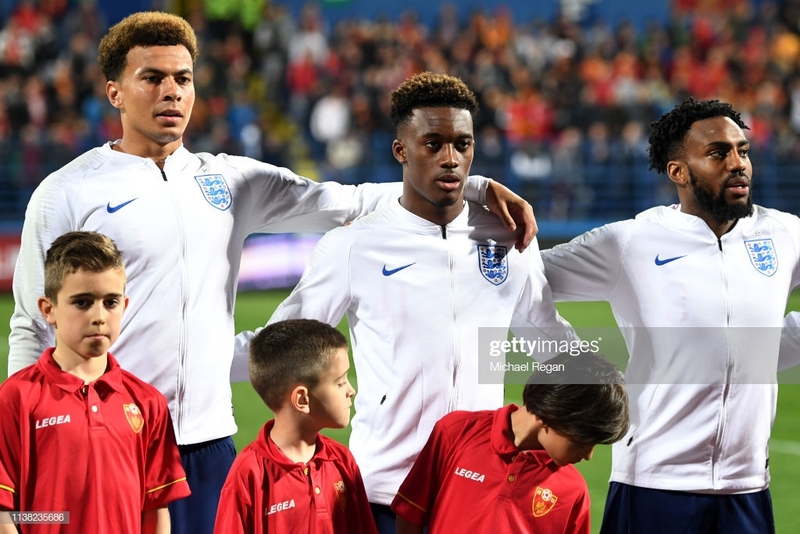 Above all, it must be remembered that Hudson-Odoi is still a very young man at only 17-years old. Sarri, though, has strongly suggested that the winger is strong-minded and mature beyond his years to deal with the abuse and continue proving himself as one of Chelsea’s and England’s most exciting young players. He said: "Of course he is very young. But I think that he is really very strong," Sarri added. "The character is really very strong. I saw him very well yesterday. So, I think that he's strong enough."